weGrow’s third store — and first franchise outside of California — is scheduled to open June 1 in Phoenix, Arizona. ​New signage on an old Phoenix warehouse is one of the first visible indicators of the billion-dollar medical marijuana industry’s arrival in the Valley of the Sun. Marijuana cultivation equipment franchise weGrow, the so-called “Walmart of Weed,” plans to open a 21,000-square-foot superstore in Phoenix on June 1. “WeGrow is the only hydroponics franchise in the nation that openly markets and focuses on the medical marijuana industry,” said media contact Melissa Rzeppa. “The Green Rush” grand opening event starts with an industry panel and then ends with a public festival. Attendees will be able to visit the onsite medical doctor for evaluations. The latest marijuana-related products and technology will be featured, along with live entertainment. ​The Phoenix store is the first weGrow store to open in the United States. The store opens on the same day that the Arizona Department of Health Services will accept applications for initial dispensary registration certificates. The billion-dollar industry is expected to see around 100,000 potential patients in Arizona. The state will license 124 dispensaries. 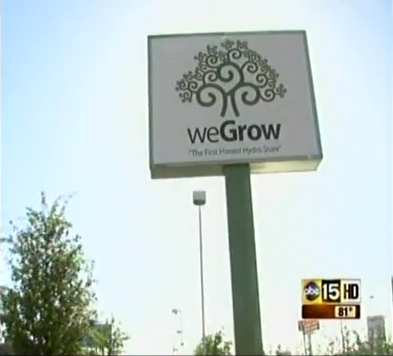 WeGrow says its new store will be the largest hydroponics store in Arizona. In addition to a big selection of hydroponic supplies, the store will feature indoor grow demonstrations, expert assistance in building professional grow rooms, an onsite medical doctor for patient evaluations, an onsite lab for cannabis testing prior to patient consumption, and classes on how to safely and responsibly cultivate medical marijuana. 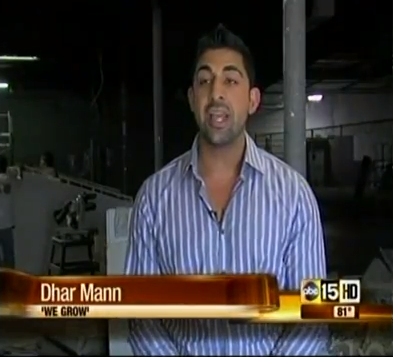 The Green Rush industry panel, at 4:30 p.m. on June 1, will feature medical marijuana entrepreneurs and opinion leaders, including weGrow founder Dhar Mann; Richard Keyt of Keyt Law; and Aaron Smith, executive director of the National Cannabis Industry Association. Following the industry panel will be the ribbon cutting at 5:30 p.m., with the Phoenix Chamber of Commerce and the public grand opening festival will run from 5:30 to 8:30 p.m. The Phoenix weGrow store will be at 2937 West Thomas Road (cross streets are 29th Avenue and Thomas Road), Phoenix, telephone (602) 820-8653.